Buriti: Mauritia Flexuosa Fruit Oil is the fixed oil obtained from the fruit of Mauritia Flexuosa L., Palmaceae. For years an Amazonian beauty secret. 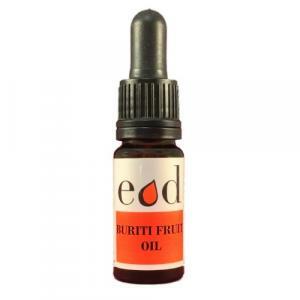 Buriti Oil is an excellent source of linoleic, arachidic and palmitic acids combined with tocopherols. Providing safe, natural protection and nourishment for face, hair and skin. Containing high natural levels of beta-carotene Buriti oil helps protect skin and hair from harmful UV rays. Available in 10ml and 50ml amber glass bottle with teat pipette dropper for accurate dispensing. Also available in 1 litre size. Functions: Skin Moisturising & Hair Conditioning. Directions for use: 100% Buriti Oil. Apply direct to face, skin or hair. External use only: Discontinue use if any allergic reaction occurs.